For these mortal warriors nothing is more fulfilling than killing. In the name of their Dark Lord, the Chaos God Khorne, they plunder the Mirrored City and gather the skulls of their enemies. They prefer to fight without armor to feel their victims' blood on their skin. 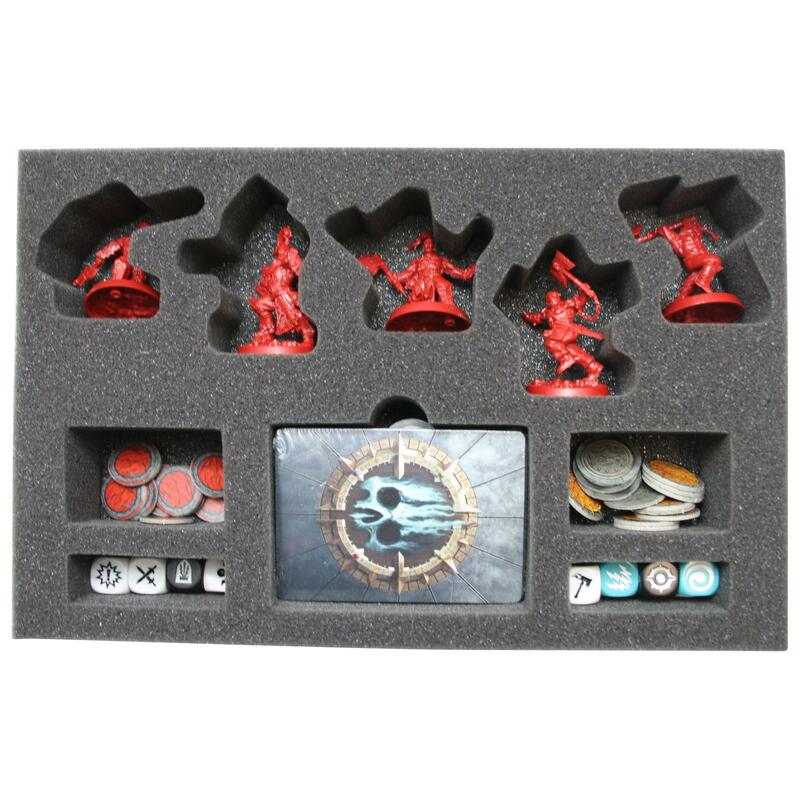 The tray contains five individually tailored compartments for Garrek Bloodbeard, Karsus the Chained, Blooded Saek, Targor and Arnulf. The miniature-precise cutting prevents the figures from slipping or colliding. The foam tray comes with a compartment for up to 40 cards. They will fit with or without sleeves. 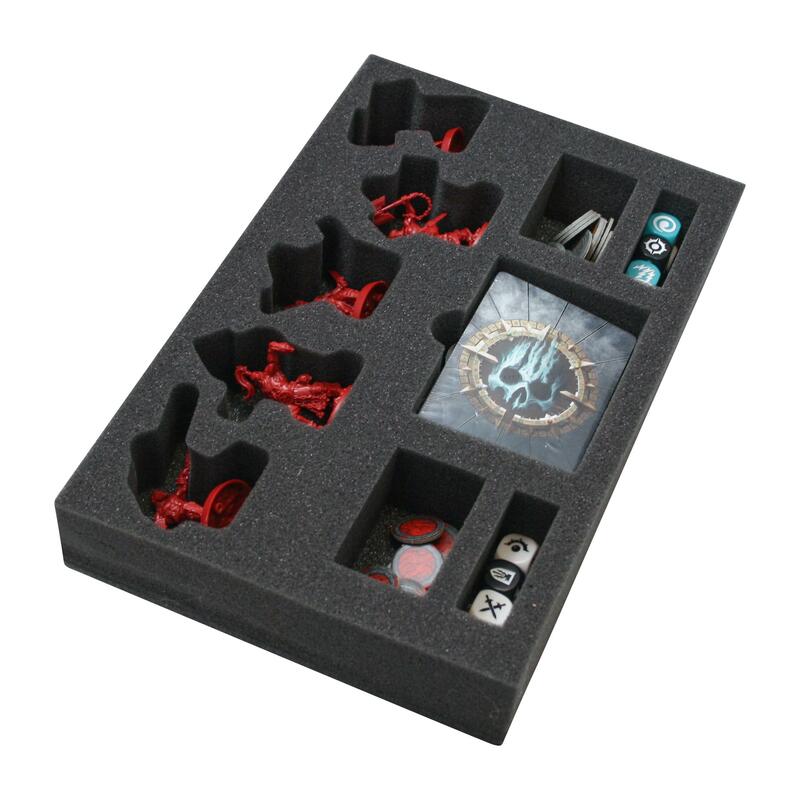 Four additional compartments provide extra space for dice and tokens so you can keep track. The tray comes with a 6mm bottom glued on. Please note any models are for reference only and are not included.